Our company has been active since 2002. 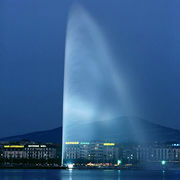 Our office is located in the business and finance centre of Geneva. Our firm is an independent accountancy and business services company committed to provide the best possible service to our clients in Geneva, in Switzerland or across the world. We assist you at various steps of your business life. At the foundation of a new structure in Switzerland and along your business growing. Our network of specialists serves our clients in various expertises including accounting, auditing, tax, legal, human resources, administration and back office for trading companies.